The 4-day guided tour of Ciudad Perdida is perfect for people who are in good physical condition and enjoy intense walking through the Sierra Nevada de Santa Marta’s stunning nature. You also have the option of exploring the Lost City in 5 or 6 days, as a private tour, or even by yourself without a guide. Keep in mind that the campsites may differ from one tour operator to the next. However, the trek is exactly the same since there is only one trail to the Lost City. It is only the distances that may differ slightly, depending on the selected campsite. Here is what to expect during your trekking tour of the Lost City. 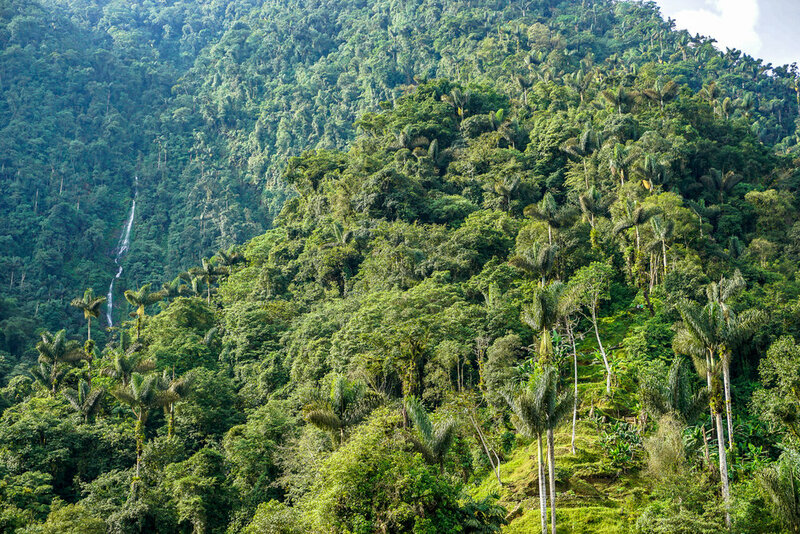 Visit the stunning Lost City of Ciudad Perdida, a city that’s 650 years older than Machu Picchu. Test your limits and get out of your comfort zone by taking a walk through the jungle. There is nothing around you except nature. No Internet, no mobile phone reception, no technology. Keep your distance from the modern world and come to rest here. The Tayrona’s natives like to talk about "purification" as they recommend tourists to leave all their baggage behind in the jungle and return stronger with full of energy. The Lost City is closed for around 1 month every August/September as the influx of tourists tends to upset Mother Nature. This is why the Tayrona locals hold a ceremony to purify the place. Visit the indigenous people who originate from Tayrona and get to know their culture, beliefs and customs. The tour starts from around 9.30am. You will be picked up by the tour operator's 4WD vehicle and taken to El Mamey, which is a 2.5 hr drive. After lunch, the search for the ancient Lost City will begin in a 3-4 hour walk mostly uphill and some downhill for a total of 6.8 km. By the end of the afternoon, you will arrive at the first camp surrounded by pools, waterfalls, and rivers with lots of mini breaks along the way. There will be many refreshment huts where you can buy fresh fruit juice, fruit, water, and coffee. This is where you will relax and spend the night in your own bed surrounded by mosquito net. The first day of your trek is the easiest, thus giving you the chance to prepare for the next 3 days. After breakfast early in the morning, you will start walking by the Buritaca riverside, where there are lots of houses that belong to the village of Mutanshi. The trek will take around 7 hours and 14.7 km that's mostly uphill and some downhill walking through the Sierra Nevada de Santa Marta’s jungle until you reach camp 3. This camp is fully equipped with beds, tents, and hammocks along with delicious food. The 1,200 steps to climb up are your main destination early in the morning. This 6 km uphill and downhill trail to the Lost City was built by Tayrona locals. When you reach the site, the guide will explain everything related to this magical place. Your morning will consist of enjoying the scenery and taking lots of photos. After lunch at camp 3, you will return to camp 2 where you will spend the night. This is by far the most relaxing day you will have as you'll spend most of your time in the Lost City. On the last day of the trek, which will be the most intense of all, your adventure starts with breakfast at camp 2 before making your way back to your original destination – El Mamey. During the walk, you will come across waterfalls and rivers where you can take mini breaks along the way. You will have to walk back 16.5 km mainly downhill and not much uphill. Once you’ve reached El Mamey, you will have lunch and get picked up by a 4WD car to Santa Marta. You will arrive in Santa Marta around 5 in the afternoon after experiencing an unforgettable trekking tour of the Lost City. Always buy your drinking water and don’t drink the ‘filtered water’ they provide you otherwise you will get diarrhea. It may sound over the top, but we did not eat the vegetables and salads since they are washed with the filtered water too. Bring medicine for diarrhea, in case you get sick. For girls: bring a hair conditioner with you! The only thing I regret not taking with me was a conditioner. Your hair will get horribly dry in high humidity and perspiration. Be prepared for rain! And it’s not just normal rain – Seriously! I have never seen so much water in my life before and all our stuff was wet even though we have covered our bags. You need to put your stuff inside plastic bags too as the rain will penetrate through your bag pack. Some of us in the group didn't have any dry clothes left. Don't bring heavy walking boots with you. I did, because I thought they are the best shoes for climbing mountains for 4 days. However, these shoes will not dry up once they get wet. You will end up with wet feet, shoes and socks for the rest of your trip. Take light sneakers with you as they will dry up easily. For us it rained on the second day and I had wet feet for 2.5 days after and ended up with horrible blisters and the skin on my feet was completely shrivelled up. It was really painful. Also, with these light sneakers it is much easier to walk uphill as they weigh much less than walking boots.